ADF originates from the Theoretical Chemistry department of the VU in Amsterdam, and SCM still strongly collaborates with academic researchers around the globe. Our expert software developers work on optimizing, porting and maintaining new functionality from our partners, so that our academic partners can focus on getting published and cited while our industrial partners can focus on applying it to their research projects. We aim to make user-friendly and powerful computational chemistry software to tackle problems in various scientific areas. Therefore, we also actively collaborate with hardware partners and other companies, most notably in EU Projects. The computational chemistry made easy project was a collaboration with the Dutch eScience center and Luuk Visscher. The project is centered around QMworks, which is a general workflow and automation tool for quantum mechanical calculations. A current co-funded project with Luuk ‘Smarter software for advanced material design’ is through NWO’s LIFT program and aims to implement GW and BSE methods in ADF as well as more advanced embedding and multi-layer methods. Co-funded by NWO, a collaborative project with BioTools, Luuk Visscher & Wybren-Jan Buma, Vibrational Optical Activity analysis toolbox (link in Dutch) sets out to improve absolute configuration determination by implementing new computational tools to analyze VCD spectra, tackle larger molecules, and develop experimental and theoretical tools for resonance-enhanced VCD (RE-VCD). V.P. Nicu, Revisiting an old concept: the coupled oscillator model for VCD. Part 1: the generalised coupled oscillator mechanism and its intrinsic connection to the strength of VCD signals, Phys. Chem. Chem. Phys. 18, 21202 (2016). We are currently involved in several EU projects and industrial-academic partnership projects funded by the Netherlands Organization for Scientific Research. SCM’s first successful EU project, QUASINANO, was in collaboration with the Heine group of Jacobs University in Bremen (now: Leipzig). The project ran from October 2010 to September 2014. 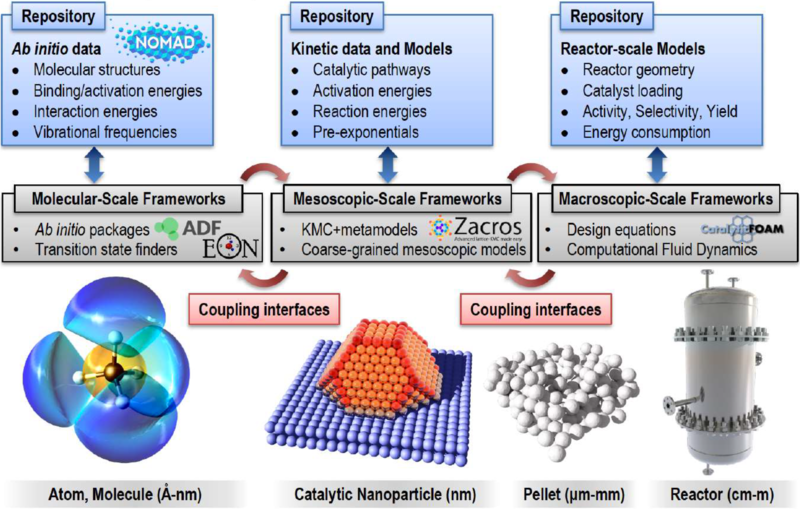 We still actively collaborate with this group to further develop density-functional based tight-binding (DFTB) methods to achieve simulations at the nanoscale (length and time). Left: DFTB Parameters for the Periodic Table Part 1: Electronic Structure (J. Chem. Theory Comput. 9, 4006 (2013)); Part 2: Gradients from H-Ca (J. Chem. Theory Comput.11, 5209–5218 (2015)). Right: parallel scaling of DFTB forces for a box with 2700 H2O molecules. Our optimization experts want you to get the most out of your hardware, and to that extend collaborate with hardware vendors to optimize the Amsterdam Modeling Suite on several platforms. Will we be collaborating on your next big EU network project? Contact our scientific partner manager Sergio López-López. Looking for individual fellowship (MSCA) or other job opportunities? Send us a mail at jobs@scm.com. Do you want to collaborate to optimize ADF on your latest HPC hardware? Do you want to get your latest functional or methods in the Amsterdam Modeling Suite? Get in touch. We are always happy to discuss other collaboration opportunities as well – just drop us a line!